" The retina absorbs external photons during vision, and then transforms photon signals into electrical signals that are carried to the V1. ... "
(Moreover, it has been demonstrated that biophotons can be guided along the neural fibers. Latest experiments have provide evidence that the glutamate-induced biophotonic activities reflect biophotonic transmission along the axons and in neural circuits, by which may be a new mechanism for the processing of neural information. Since regulated electrical signals of neurons can be converted into regulated biophoton signals, external photonic representation can emerge not only as electrical signals but also as regulated biophoton signals in the brain). For the developers of the theory the detailed and realistic visual representation in early V1 and V2 areas cannot be guaranteed by mere electrical representations. However, the biophysical picture concept may guarantee the detailed and realistic visual representation of objects in retinotopic V1 and V2 areas by congruent patterns of regulated biophotons. There exists some findings that underpin some aspects of the theory and some of them with surprising results, a theoretical work  related to the retinal discrete dark noise effect demonstrated that thermal activation approach is mathematically incongruent and but that the discrete components of noise are indistinguishable in shape and duration from those produced by real photon induced photo-isomerization, so it's proposed that the retinal discrete dark noise is most likely due to "photons" inside cells instead "heat" for thermal activation of visual pigments..
" Here, we used a novel ultra-weak biophoton imaging system (UBIS) to detect biophotonic activity (emission) under dark conditions in rat and bullfrog (Rana catesbeiana) retinas in vitro. We found a significant temperature-dependent increase in biophotonic activity that was completely blocked either by removing intracellular and extracellular Ca2+ together or inhibiting phosphodiesterase 6. These findings suggest that the photon-like component of discrete dark noise may not be caused by a direct contribution of the thermal activation of rhodopsin, but rather by an indirect thermal induction of biophotonic activity, which then activates the retinal chromophore of rhodopsin. Therefore, this study suggests a possible solution regarding the thermal activation energy barrier for discrete dark noise, which has been debated for almost half a century." But this not invalidate that a visual representation made by biphotons or ultraweak photon emissions (UPE) is also taking place with neurons of the V1 and V2 areas as a source.
" As the results of both the experiments have showed, when the mental image was projected on the mutually reflective mirrors, a duplication or a multiplication of the subjective perception like mental image appeared. This phenomenon did not appear sending the image toward the two not reflecting panels. The mental image projected on the mirrors would act in a similar way to a light beam generating an optical reflection phenomenon." Some propositions that the eye itself emit energy of some kind have been done previously, and that this emission is involved in visual perception, or in the creation of "sense of being watched" in the objective has been stipulated . Here it can be pointed out the following experiment  where biophotons are also reflected in mirrors, which causes an augmented effect on sender (in this case HepG2 cells).
" The quantitative convergence of the energies associated with photon emission, change in cerebral power, and the minute decrease in the local adjacent geomagnetic field in the same plane as the photon emission, suggests that experience of an “inner light” may reflect actual photon production whose energies are shared with changes in the proximal intensity of the geomagnetic field in the plane associated with photon emission." While in  is suggested that LSD-induced visual hallucinations can be due to transient enhancement of bioluminescent photons in the early retinotopic visual system; LSD can generate biophotons when is metabolized by peroxidase so, for the authors, the visual hallucinogenic effect may be due that there are several sources of biophotons producing mechanisms in the brain in parallel, especially in the early visual system.
" ... of importance in this context, are the strong flurescence properties of the major hallucinogens: LSD, bufetonine, dimethyl-tryptamine, psilocybine, psilocin, iboguanin, harmine, cannabidinol and mescaline. Furthermore it has been shown that hallucinogenic properties of these substances have a direct correlation to their fluorescence properties and their readyness to donate electrons. As hypothesis we propose that the fluorescence interacts physically with the proposed Biophoton mediated cell to cell communication thus producing hallucinations." In  authors summarize some luminescence-dependent phenomena in the eye, so they review the profs available for understanding discrete dark noise as ultraweak photon emission produced by lipid peroxidation of rods, retinal phosphenes as ultraweak photon emission generated from excess free radicals and negative afterimage as a result of delayed luminescence in the eye, among them. In this compendium  of various aspects of the theory, made by Bókkon himself, there are mentioned various other facts that can support the theory. Also several proposals are reviewed of how this kind of visual representations can work in other situations apart of representations of the external world, for example: as a biophysical picture during visual imagery or also as the human memory (unconscious) that can operate through intrinsic dynamic pictures and then link these picture-representations to each other during language learning processes. Apart from the endogenously generated photons, which it is undoubtedly the area of study for this theory, maybe is interesting to note how exogenously generated photons affects the brain when is exposed to them because its sensitivity may be indicative that there are endogenous photonic pathways working in normal brain functioning. To get started with this it must be taken into account that humans can detect a single-photon, at least when incident on the cornea , as demonstrated in an experiment that shows that the probability of reporting a single photon is modulated by the presence of an earlier photon. Also there are interesting experiments that demonstrate that applying temporally patterned light over skull (without eyes intervention) resulted in suppression of gamma activity within the right cuneus (including the extrastriate area), beta activity within the left angular and right superior temporal regions, and alpha power within the right parahippocampal region  and as mentioned in the paper, that photons can traverse the skull and influence biochemical and biophysical functions within brain space has been known or suspected by many previous researchers. In  it is shown that transcranial light affects plasma monoamine levels and expression of brain encephalitic pain in mouse. Extraocular light, but in this case directed trough ear canals, is also used in various experiments. In  extraocular light delivered via ear canals abolished normal emotional modulation of attention related brain responses. In  is showed that transcranial bright light treatment may have antidepressant and anxiolytic effect in seasonal affective disorder patients.
" ... the detected biophotonic activities in the corpus callosum and thalamus in sagittal brain slices mostly originate from axons or axonal terminals of cortical projection neurons, and that the hyperphosphorylation of microtubule-associated protein tau leads to a significant decrease of biophotonic activities in these two areas. Furthermore, the application of glutamate in the hippocampal dentate gyrus results in increased biophotonic activities in its intrahippocampal projection areas. These results suggest that the glutamate-induced biophotonic activities reflect biophotonic transmission along the axons and in neural circuits, which may be a new mechanism for the processing of neural information." The relationship between an electromagnetic theory of mind and this biophysical representation is that this representation, being made by biophotons, can be part of the consciousness itself forming a layer of a multilayered (or multifrequency) electromagnetic mind. Other frequencies, as classical low frequencies generated in the brain, can interact with this layer . 1. Salari, Vahid, et al. "The Physical Mechanism for Retinal Discrete Dark Noise: Thermal Activation or Cellular Ultraweak Photon Emission?." PloS one 11.3 (2016): e0148336. 2. Li, Zehua, and Jiapei Dai. "Biophotons Contribute to Retinal Dark Noise." Neuroscience bulletin 32.3 (2016): 246-252. 3. Ross, Colin A. "Traditional beliefs and electromagnetic fields." AIBR: Revista de Antropología Iberoamericana 6.3 (2011): 269-286. 4. Tinsley, Jonathan N., et al. "Direct detection of a single photon by humans." Nature Communications 7 (2016). 5. Karbowski, Lukasz M., et al. "LORETA indicates frequency-specific suppressions of current sources within the cerebrums of blindfolded subjects from patterns of blue light flashes applied over the skull." Epilepsy & Behavior 51 (2015): 127-132. 6. Flyktman, Antti, et al. "Transcranial light affects plasma monoamine levels and expression of brain encephalopsin in the mouse." 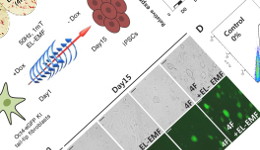 Journal of Experimental Biology 218.10 (2015): 1521-1526. 7. Sun, Lihua, et al. "Human Brain Reacts to Transcranial Extraocular Light." PloS one 11.2 (2016): e0149525. 8. Jurvelin, Heidi, et al. "Transcranial bright light treatment via the ear canals in seasonal affective disorder: a randomized, double-blind dose-response study." BMC psychiatry 14.1 (2014): 1. 9. Saroka, Kevin S., Blake T. Dotta, and Michael A. Persinger. "Concurrent photon emission, changes in quantitative brain activity over the right hemisphere, and alterations in the proximal geomagnetic field while imagining white light." International Journal of Life Science and Medical Research 3.1 (2013): 30. 11. Grass, F. "P03-33-Biophotons, hallucinogens, and fluorescence." European Psychiatry 26 (2011): 1202. 12. Tang, Rendong, and Jiapei Dai. "Spatiotemporal imaging of glutamate-induced biophotonic activities and transmission in neural circuits." PloS one 9.1 (2014): e85643. 14. Bereta, Martin, et al. "Low frequency electromagnetic field effects on ultra-weak photon emission from yeast cells." 2016 ELEKTRO. IEEE, 2016. 15. Bókkon, I., et al. "Estimation of the number of biophotons involved in the visual perception of a single-object image: Biophoton intensity can be considerably higher inside cells than outside." Journal of Photochemistry and Photobiology B: Biology 100.3 (2010): 160-166. 16. Ruggieri, Vezio. "Psycho-Physiological Hypothesis about Visual Mental Images Projection." Academy of Social Science Journal 2.9 (2017). 17. Zamani, M., Etebari, M., & Moradi, S. (2017). The Increment of Genoprotective Effect of Melatonin due to “Autooptic” Effect versus the Genotoxicity of Mitoxantron. Journal of Biomedical Physics and Engineering. 18. Kapócs, Gábor, et al. "Possible role of biochemiluminescent photons for lysergic acid diethylamide (LSD)-induced phosphenes and visual hallucinations." Reviews in the Neurosciences 28.1 (2017): 77-86. 19. Salari, Vahid, et al. "Phosphenes, retinal discrete dark noise, negative afterimages and retinogeniculate projections: A new explanatory framework based on endogenous ocular luminescence." Progress in retinal and eye research 60 (2017): 101-119.